A missing grandmother. A trek across rugged Alaska. A woman who’d rather be anywhere else. Bree loves cities and dislikes wilderness. When her mother sets up a handsome driver for the long trip to find her grandmother, she agrees just to get the job done. After she finds her, Bree will be on the next plane out of here. She won’t fall in love before she leaves. Michael enjoys coming home to Alaska, even for a visit. As he drives north to the family’s gold claims with Bree, he’s soon caught up in her search. Michael must guard against a romance with her. But his conflicted heart keeps pulling him closer to her and home to Alaska. Can these two find a way to make love work? 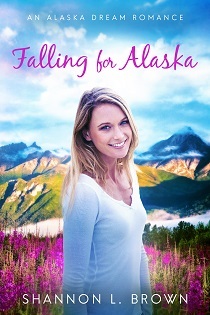 Loving Alaska is the second book in the sweet and clean Alaska Dream Romance series. 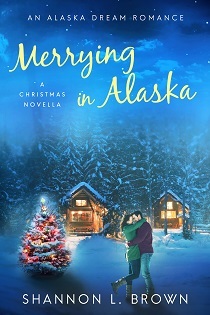 If you like wild destinations, stories that make you smile, and happy endings, then you’ll love Shannon L. Brown’s heartwarming series. 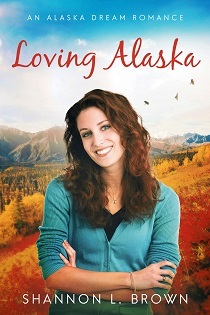 Buy Loving Alaska and begin the journey today! Two men are interested. She picked the wrong man once. Will she choose the right one now? As a single mother and a real estate agent, Holly works hard. Climb a roof? Check. Work with her former, difficult professor? Maybe. She wants a husband who can love her and her twin girls. When other men run because she has kids, they become her secret. College professor Adam enjoys his work, his dog . . . and his secret life. After his home burns, he needs to find a house in a hurry. Oh-so-appealing former student Holly is perfect for the job—and his heart. Adam has to win her before the other man does. When secrets are revealed, will love grow or die? 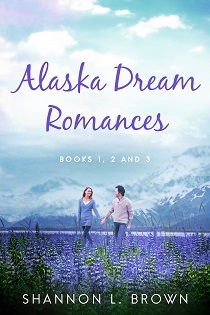 Crazy About Alaska is the third book in the sweet and clean Alaska Dream Romance series. If you like wild destinations, adorable kids, and happy endings, then you’ll love Shannon L. Brown’s heartwarming series. 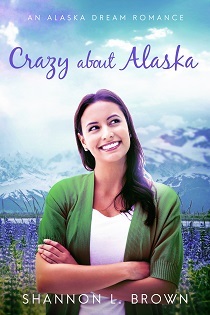 Buy Crazy About Alaska to wrap-up—or begin—the series today! 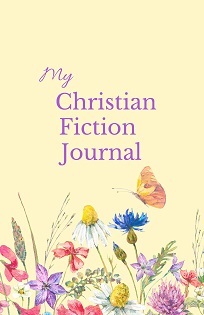 Buy the box set and begin your journey today! 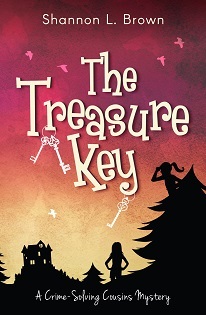 Unwrapping a puzzling package and finding a clue launches twelve-year-old cousins Sophie and Jessica into the dangerous mystery of The Treasure Key. They’re soon racing against time—and bad guys—to be the first to find the long-lost treasure. Will they find the spy—or will the spy find them first? When twelve-year-old cousins Sophie and Jessica take a class at a chocolate factory, they don’t expect to see bad guys in such a sweet place. Strange happenings make them wonder if they’ve uncovered another mystery, and they’re soon in danger. Can they find The Chocolate Spy in time? 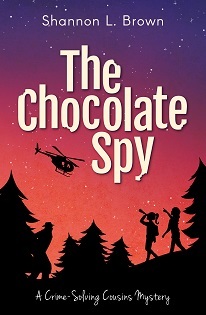 The Chocolate Spy is the third book in the Crime-Solving Cousins Mysteries. 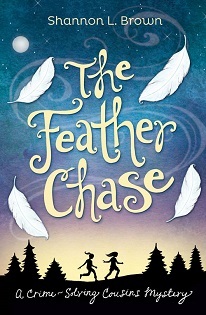 If you (or the eight- to ten-year-olds in your life) like Nancy Drew, Theodore Boone, or the Hardy Boys, then you’ll love Shannon L. Brown’s fun, fast-paced books for kids. Buy The Chocolate Spy and go undercover with Sophie and Jessica today!